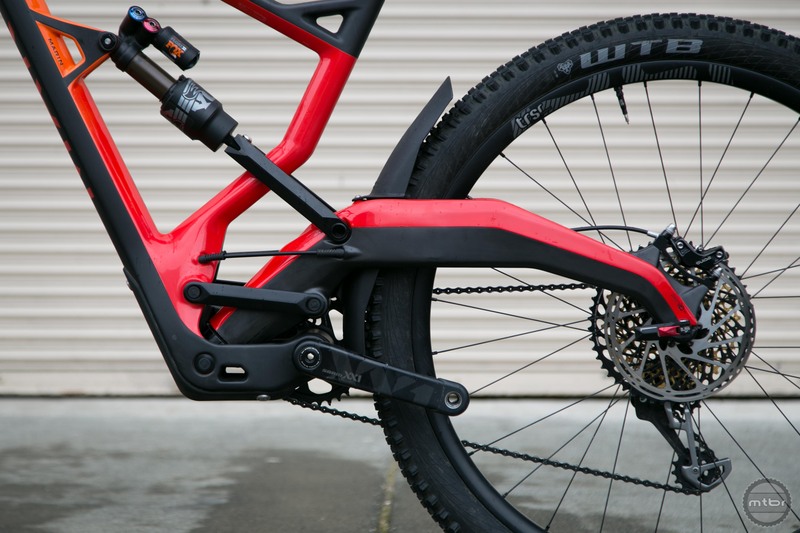 The new Marin Wolf Ridge utilizes the same suspension configuration as the recently released Polygon Square One. 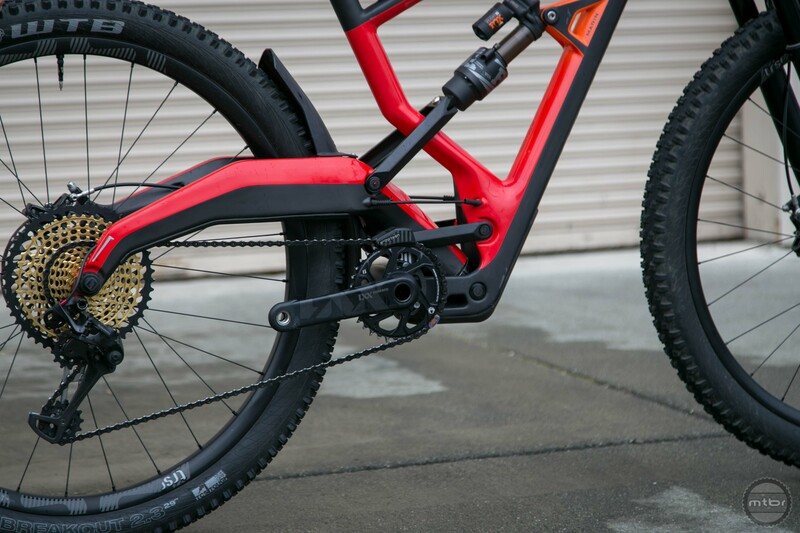 Last week, Polygon unveiled the Square One, a full suspension mountain bike unlike anything we’d ever seen. 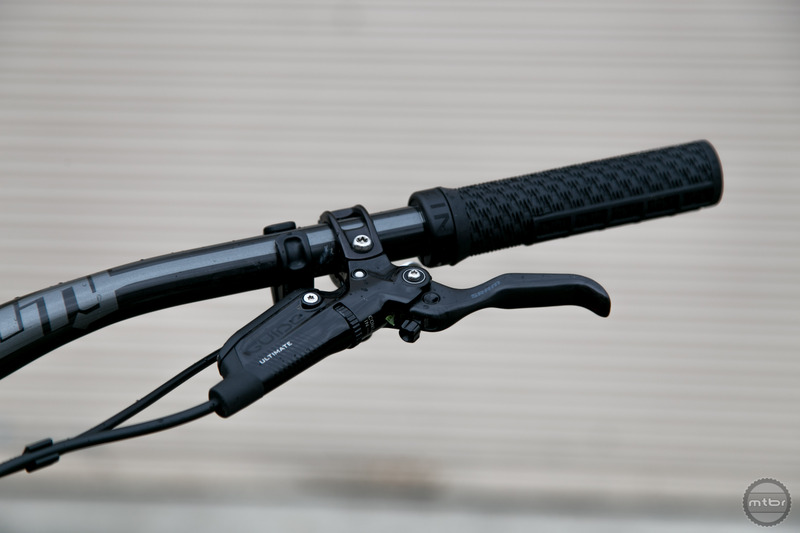 It uses a hidden slider housed inside a monostay to achieve incredible pedaling efficiency. Other brands have used sliders before, but this version looks drastically different…. and that’s putting it kindly. 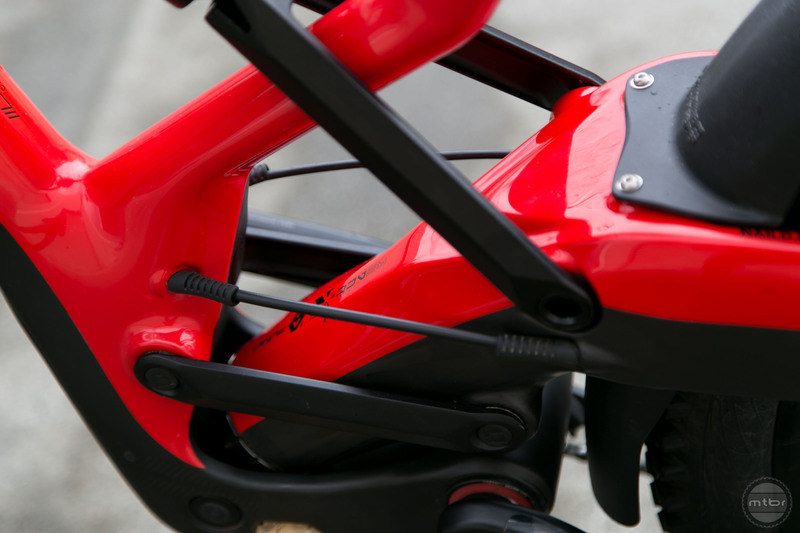 At the time, we mentioned that another brand was developing a bike using the same technology. That mystery brand is Marin. Their version, which revives the Wolf Ridge moniker, differs in that it uses larger wheels and has a smidge less travel. Before we get into the nerdy goodness, let’s start with the story. Marin Bikes has never shied away from trying new things. Marin began life in 1986. Their first product was a rigid mountain bike, but for as long as most riders can remember, they’ve dabbled in unique full suspension designs. There was the Team FRS in the early 90s that used a front fork in lieu of seat stays and who can forget the Whyte designed Quad Link. Five years ago, Marin was approached by one of their technology partners, NAILD. 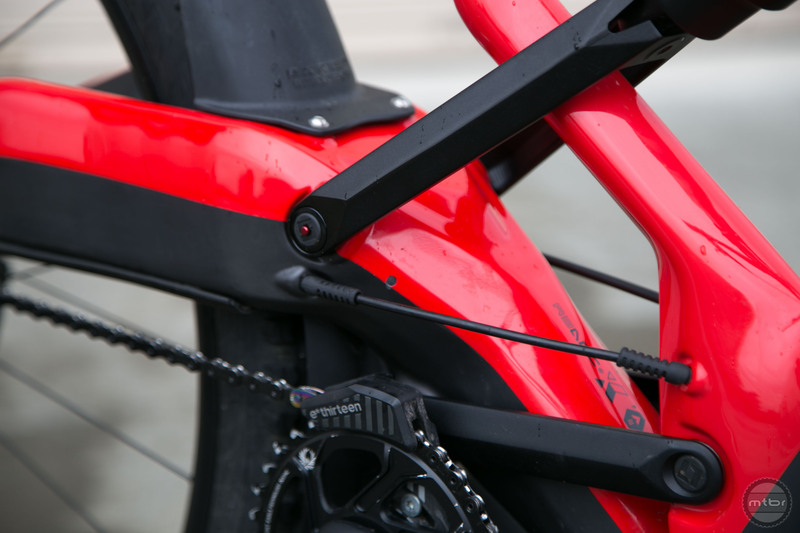 They’re best known for their brilliant thru axle design, which is faster to operate than a traditional quick release. The entire operation is helmed by Darrell Voss. You’ve probably never heard his name before but he’s been a major player behind the scenes for the past thirty years. The R3ACT 2PLAY suspension was created by Darrell Voss. Throughout his decades in the industry, he’s dreamed of the suspension platform you see before you. He calls it R3ACT-2Play. It’s a mouthful to pronounce and yes, it is spelled with numbers instead of letters. But there’s a reason. The 3 refers to Newton’s third law. If you don’t remember your high school physics, for every action there is an equal but opposite reaction. The goal of his new platform is to create a bike that’s not defined by its travel. Darrell wanted to build something that could climb and descend equally well. The team at Marin shared that vision. 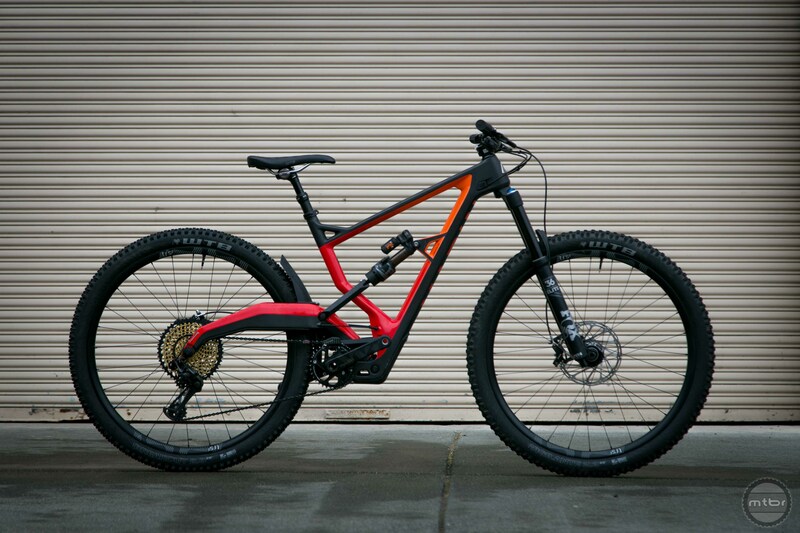 Together, they set out to build a mountain bike that could do it all. The slider and cross link counteract each other under load. So how does this miraculous suspension work? 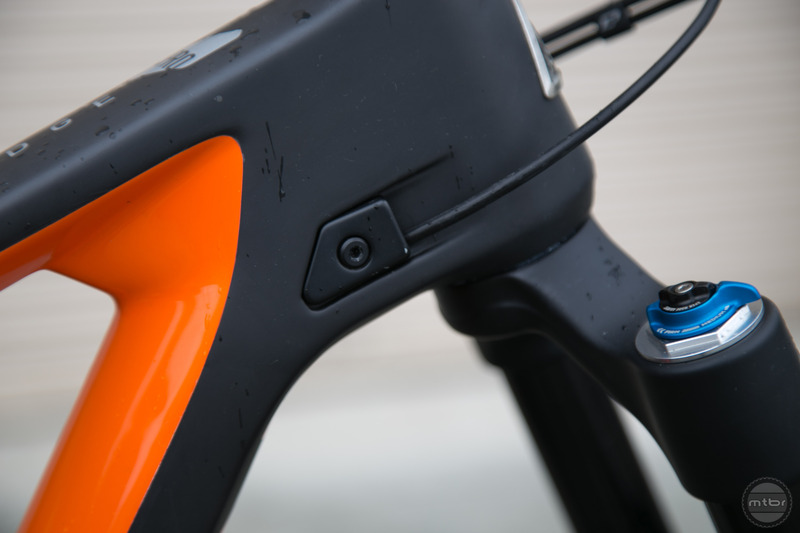 As the bike moves through its travel, the slider mechanism pivots to maintain the ideal anti-squat numbers. This occurs in conjunction with a secondary crosslink, that sits parallel with the chain. 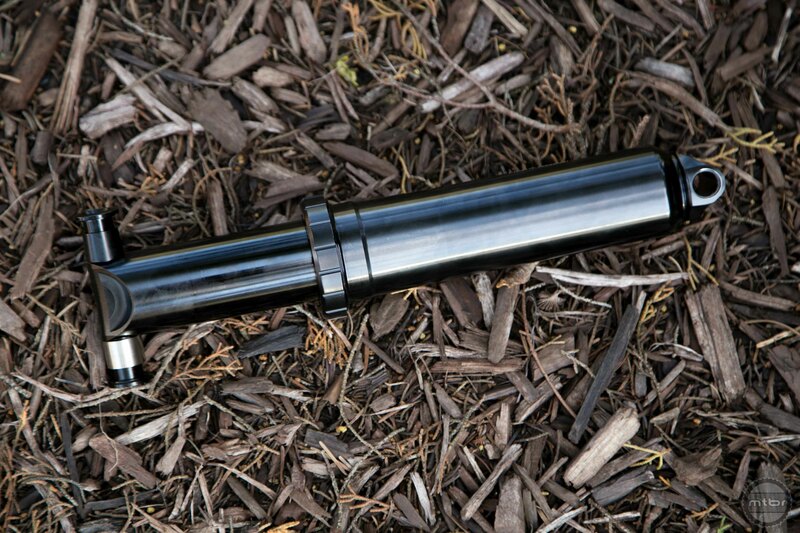 The slider hidden inside the monostay is just a slider. It does not act as a secondary shock. The way the slider and the link are positioned allows them to counterbalance each other, zeroing out the total load. 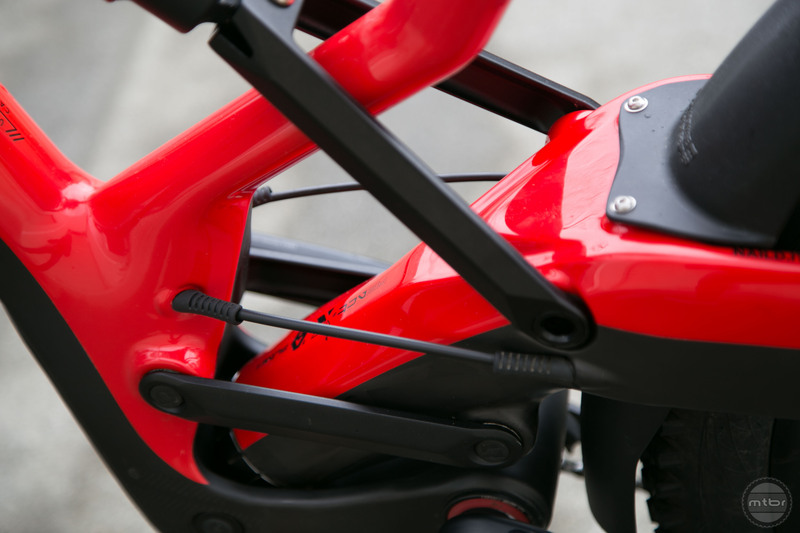 This enables the suspension to move at all times, while still isolating pedaling forces from bump forces. Honestly, the whole concept is pretty difficult to understand without a visual aid. To try and wrap your head around the concept, press play on the video above. Watching the suspension cycle several times will help clarify things. 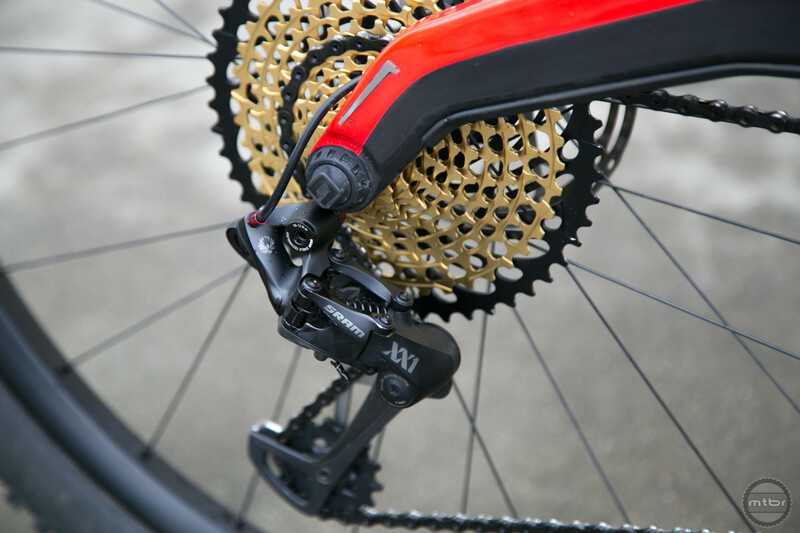 The beauty of this system is that it relies on frame kinematics for performance rather than shock damping. To get the best overall performance from the suspension you set the sag, make sure the compression and rebound circuits are wide open. That’s it. You no longer have to be a suspension tuning expert. 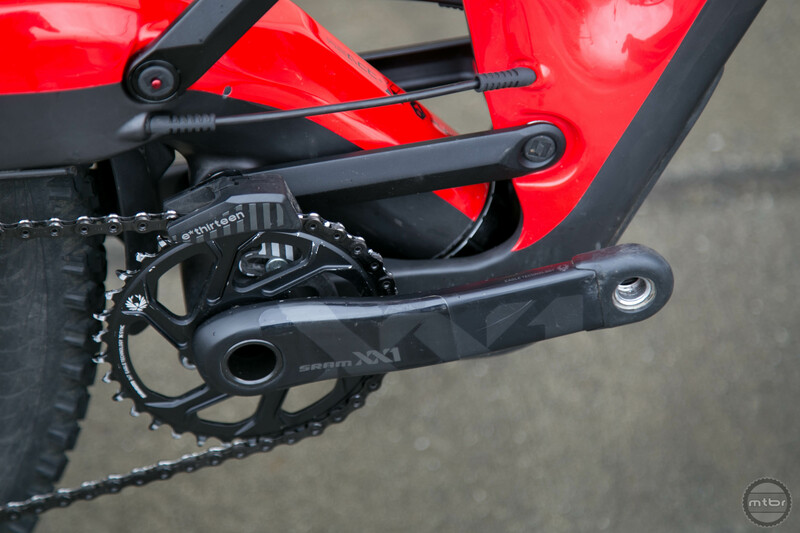 The Float X2 has been given a custom tune that cuts back the damping and eliminates the climb switch. 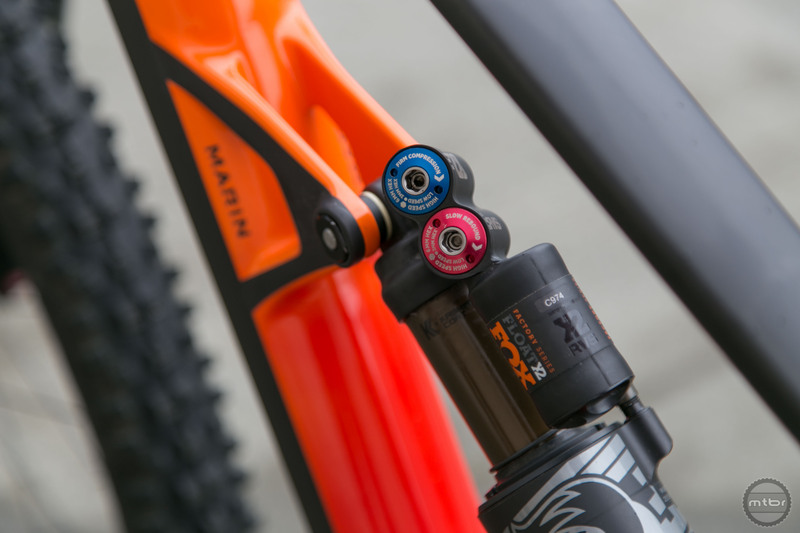 Darrell strongly believes that the sophisticated shocks required to eke out maximum performance from today’s full suspension mountain bikes are a band aid for poor suspension. His system doesn’t require a fancy shock or a climb switch, it just works. While NAILD developed the R3ACT 2PLAY suspension, Marin was responsible for defining the handling characteristics and rider position of the Wolf Ridge. 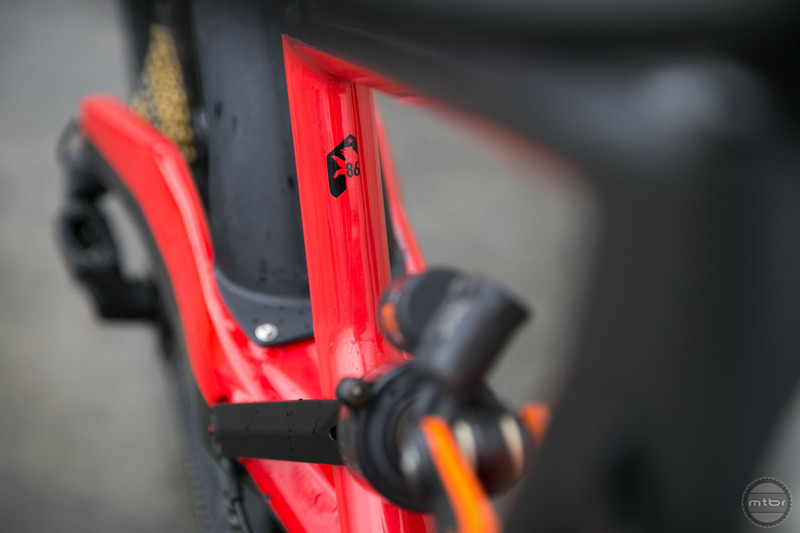 From the start, they wanted to build a bike that was versatile enough it could be the one mountain bike in your life. To achieve that goal, they started with 29” wheels. The choice was an easy one because that’s what most of their employees prefer riding. Picking the right travel was a more difficult decision. They felt the suspension platform was so efficient, they kept bumping up travel until they hit 160mm. 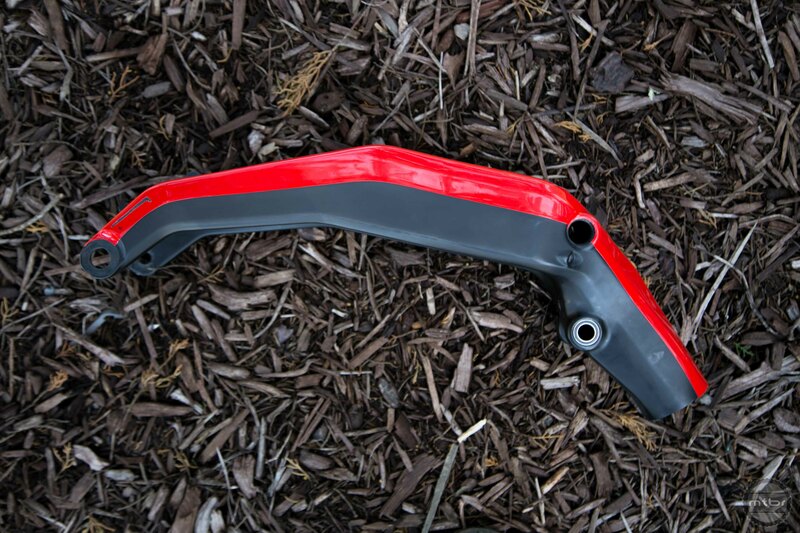 A custom offset seatpost helps dial in fit. With the numbers locked in, the final challenge was crafting a geometry versatile enough to be pedaled uphill, yet not feel compromised on the descents. They ended up with a 66.5 degree head angle with 435mm chainstays. 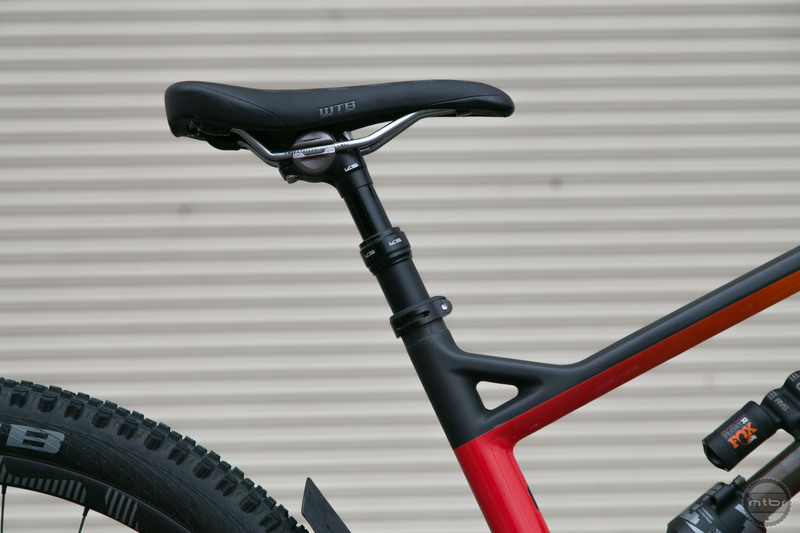 The seatpost angle is relatively steep and aided by a custom 18mm offset KS dropper. 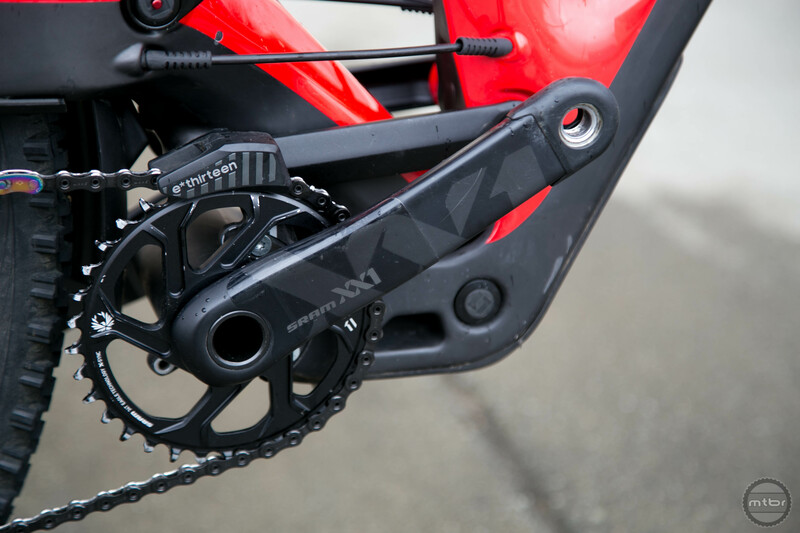 The entire package isn’t as extreme as what you’d find on a Trek Slash of Evil Wreckoning, but that’s ok. Those bikes are marketed as EWS worthy race machines, while Marin simply calls the Wolf Ridge a mountain bike. 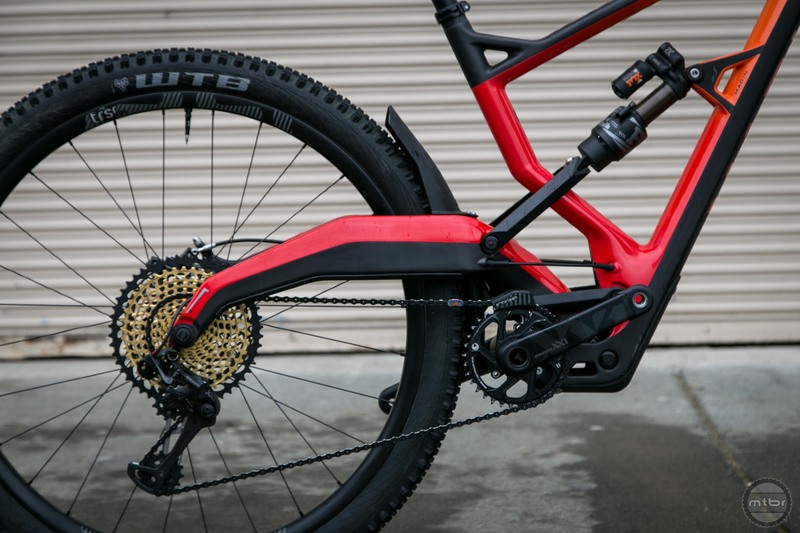 To learn more about the bikes intentions, design, etc…Tune into our interview above with MTB Product Manager Matt Cipes. 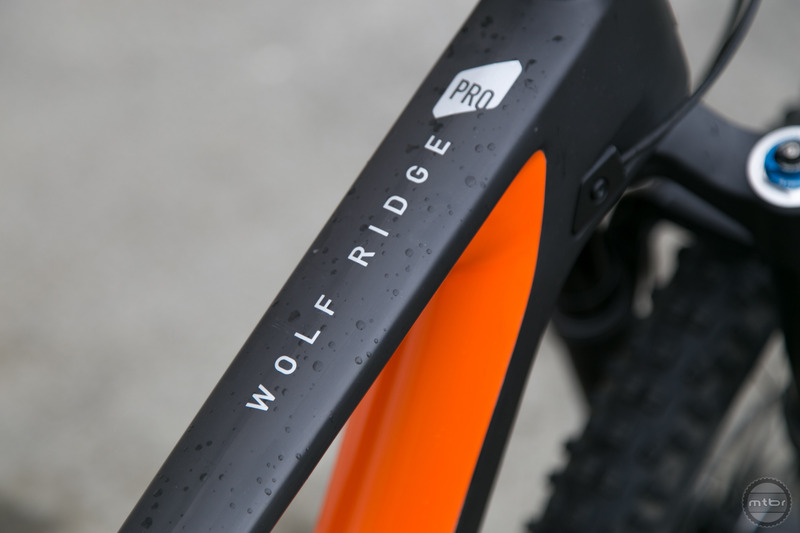 The Wolf Ridge Pro is the premiere model. 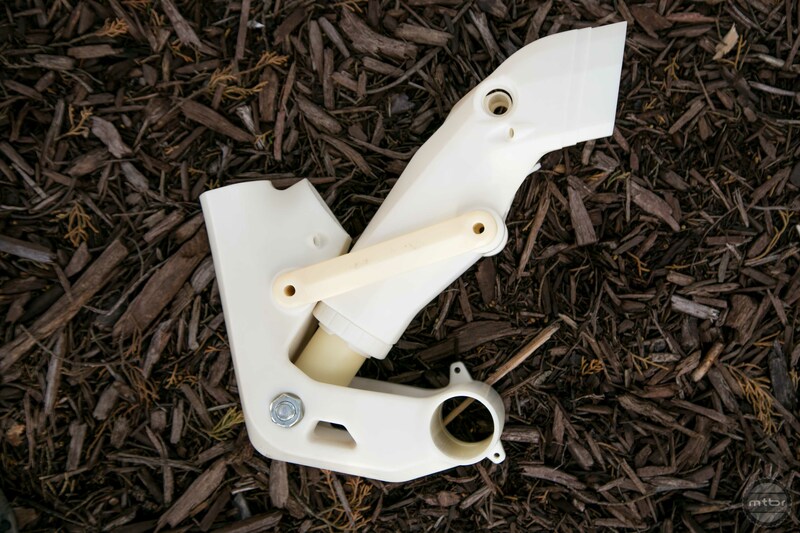 The Wolf Ridge will be available this summer in two different build kits. 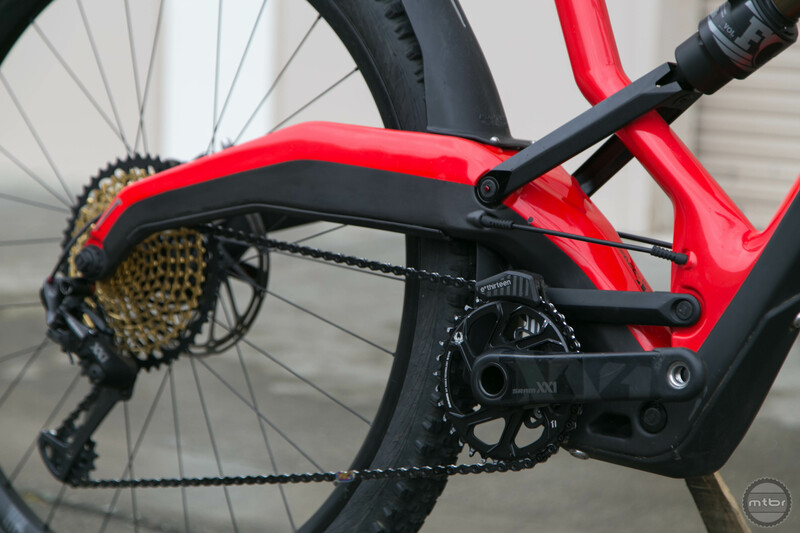 On the premium end of the spectrum is the Pro model which features an XX1 Eagle drivetrain, Fox 36 Fork, Float X2 Shock, and E13 Carbon wheels for $8,599. 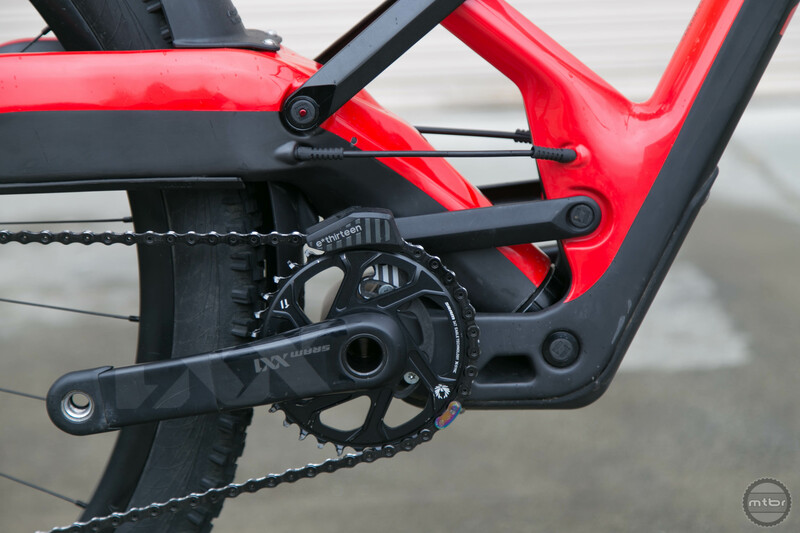 The Marin is Di2 compatible but they’re only offering Eagle equipped versions at launch. The Wolf Ridge 9 will share the same frame but comes equipped with an X01 Eagle drivetrain, RockShox Lyric RCT3 fork, Monarch Debonair R shock, and Stan’s NoTubes Flow Mk3 wheelset. Retail is $6,799. 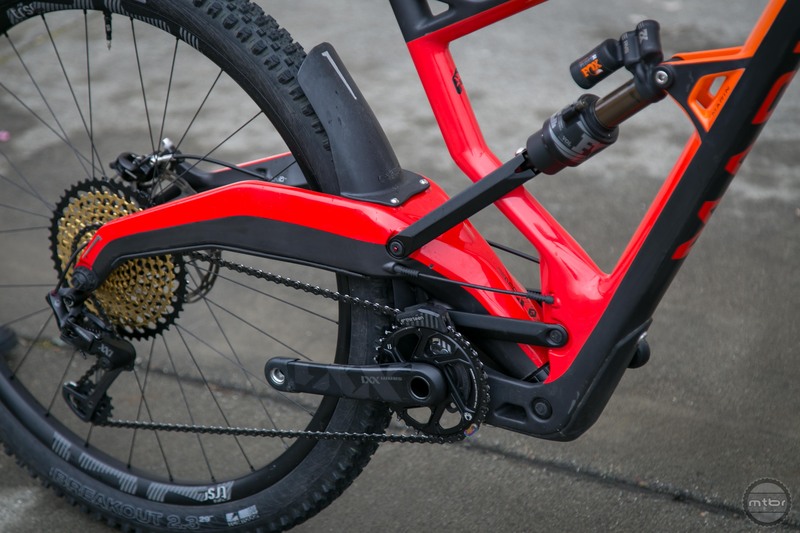 While the initial asking price for these bikes is high, Marin is working on bringing the platform to more affordable price points in the future. 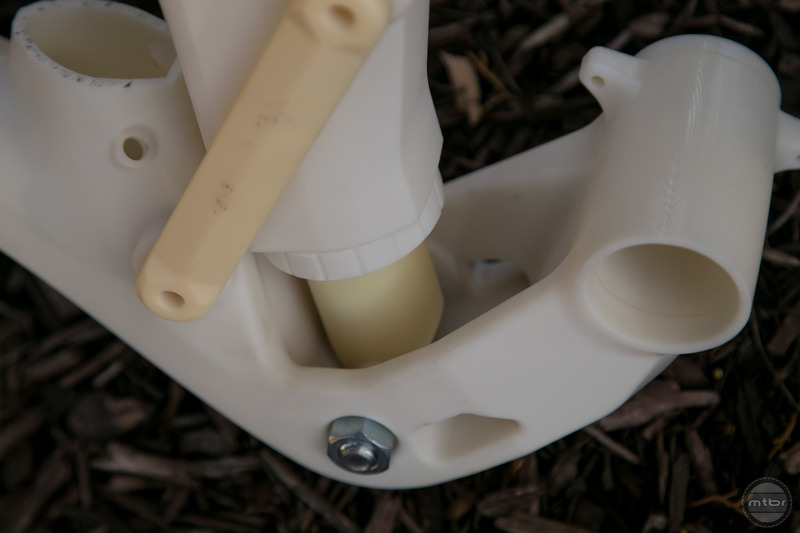 The R3ACT 2Play suspension has polarizing looks but offers incredible performance. The Marin Wolf Ridge is a unique looking bike. There’s no getting around it. While we’d all like to say we care more about a bikes personality than its looks, the truth is looks count. This bike will always be polarizing, but you can’t see the suspension when you’re riding. If you give it a chance, you’ll be amazed. We can’t to test the Wolf Ridge in back to back runs against bikes like the Wreckoning and Slash. the Wolf Ridge outperforms all of them uphill. It’s so efficient, it makes VPP and DW-Link bikes look bad in comparison. 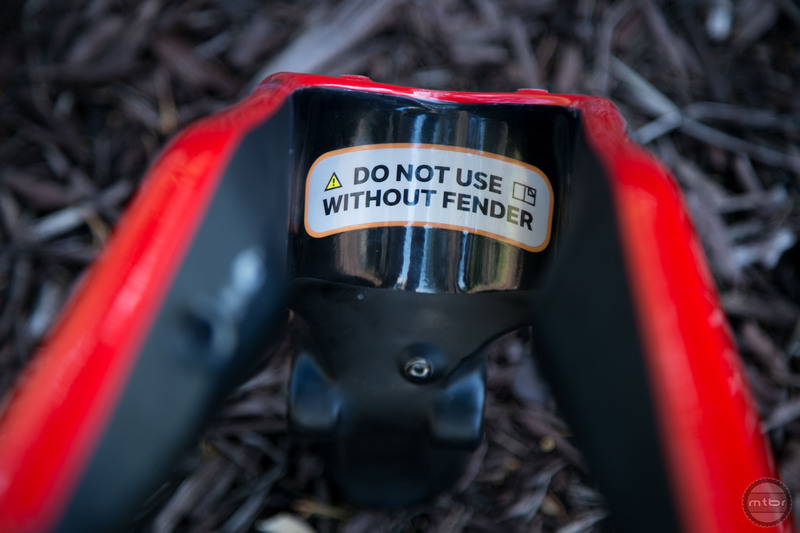 Perhaps the most comical part of the whole test ride was the lack of a pedal platform switch. On most bikes, we tend to reach for the lockout everytime we hit a long fire road climb. With the Marin, you don’t have one because you don’t need it. We caught ourselves constantly reaching down to fiddle with a switch that wasn’t there. It’s like hopping on a single speed after spending a few months with gears. For the first few miles, your thumb is always searching for gears. While pedaling uphill is half the experience, the real test is how the bike descents. 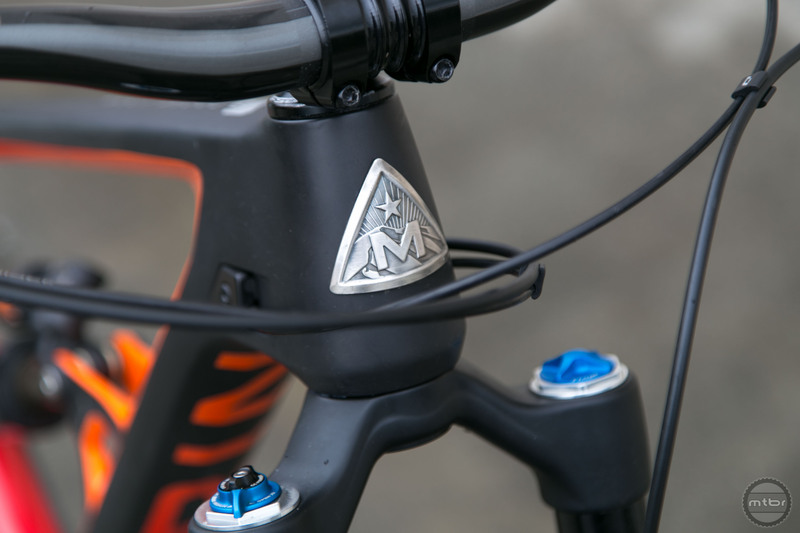 The Marin is unlike anything we’ve ridden before. Not only does it make short work of climbs, but that rear end glides over everything. We purposely smashed into roots and stutter bumps to try and trip the suspension up, but never once felt the bike getting hung up. That sensation has us eager to get back to back laps in on the Wolfridge, Wreckoning, and Slash. At this point, this first ride review is getting ridiculous. We’re absolutely gushing about this damn bike and it’s all true. The bike rips uphill, it rips downhill, and it’s a blast everywhere else. It manuals easily and has no problem sending it. We honestly can’t wait to get more time on the platform. To learn more, visit www.marinbikes.com. 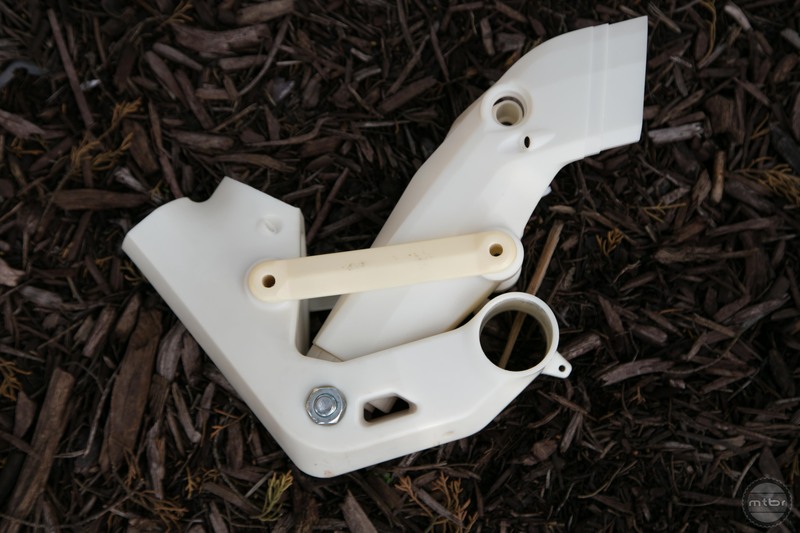 A custom offset seatpost helps improve fit. I’m looking forward to direct comparisons between this design and Tantrum Cycles. Oh, and I’d be curious about comparo with RE:aktiv as well. As a mechanical engineer, I am initially having trouble seeing where any stiffness is coming from, to control the rear wheel twisting out of plane. There is the shock/strut, and there is a pair of independent links, but can the slider (which is simply round) control twisting? How? 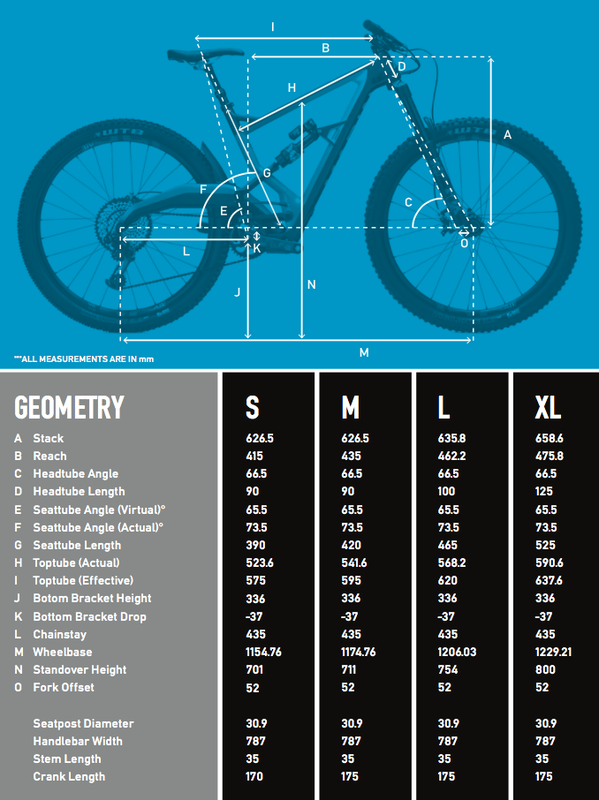 I think that Frank Daleview is correct in pointing out that with most designs, and with this one, the axle path defines the character of the suspension’s response to pedaling, though other designs (where the bottom bracket position shifts) negates that assumption. I see a lot of stiffness there. Lateral stiffness from the large diameter of the slider and the wide pivot below. The twisting is prevented by the links. They wouldn’t be very effective against lateral forces, but that is taken care by the slider pivot, and against the twisting of the slider they work perfectly. So the two pivot sets complement each other and I think the result could even be one of the stiffest rear ends. There has to be damping in the system, otherwise you would theoretically be pogo-ing uncontrollably all the time. 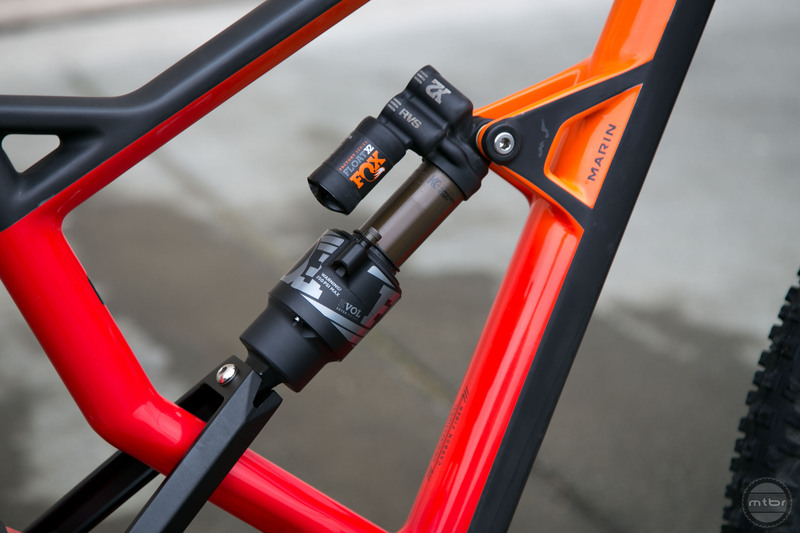 If wide-open on your particular shock gives some baseline damping level that just happens to coincide with this suspension’s sweet spot, that just means you happened to get lucky but now you’re already on the lowest damper settings with no option to go lower. SOL.